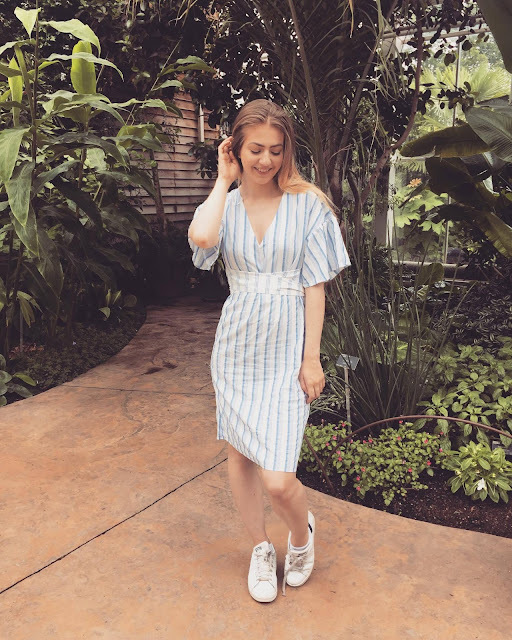 I started blogging because I really wanted to share my outfits and style pairings- it's something I've always loved! Sadly, outfit photos are hard to post regularly without someone there to take photos (sadly Scott is not yet an instagram boyfriend) so I try to take photos in the mirror when I can! Here's a little, low down on what I've been wearing this week. If you want to keep up with my instagram and more outfit posts, make sure you follow here. Didn't get a whole outfit this day but snapped up my shoes. 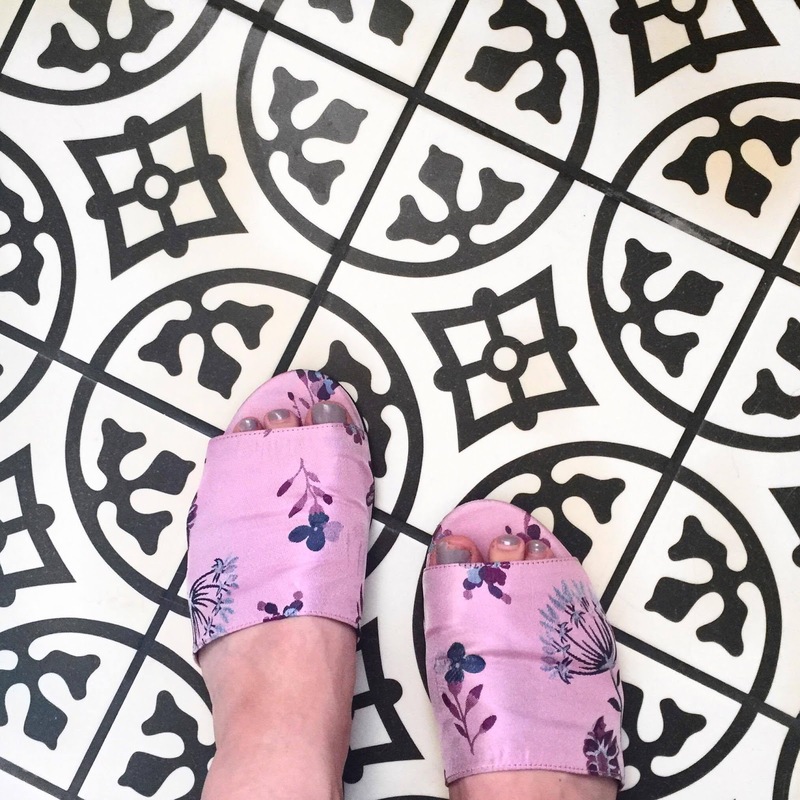 After a few days at work in heels, all I want are some easy comfy shoes! These for Primark were £8 and are a dream. They're fabric and slide on so literally can't rub anywhere. They are super pretty and work with nearly anything without a pattern! Including dresses and jeans. This was the start of the crazy heat wave... and I don't mean just a bit hot. I wanted something light and breezy to get changed into after work. This dress is from boohoo and I've had it for FIVE YEARS. It was about £20 too! I can't see myself getting ride of it anytime soon to be honest. Scott and I went for a romantic walk at Wisley Gardens. Well I thought it was romantic... not sure Scott did! The dress I'm wearing is from H&M and admittedly it needs an iron. It's a light floaty material and so protects you from the sun but keeps you cool too! Usually I wouldn't pair it with my stan smiths, I'd rather go for something with a bit of a heel but I knew I'd be doing a lot of walking. You know those days where you just want to flaunt it? I was having one of those days! So went all fitted. 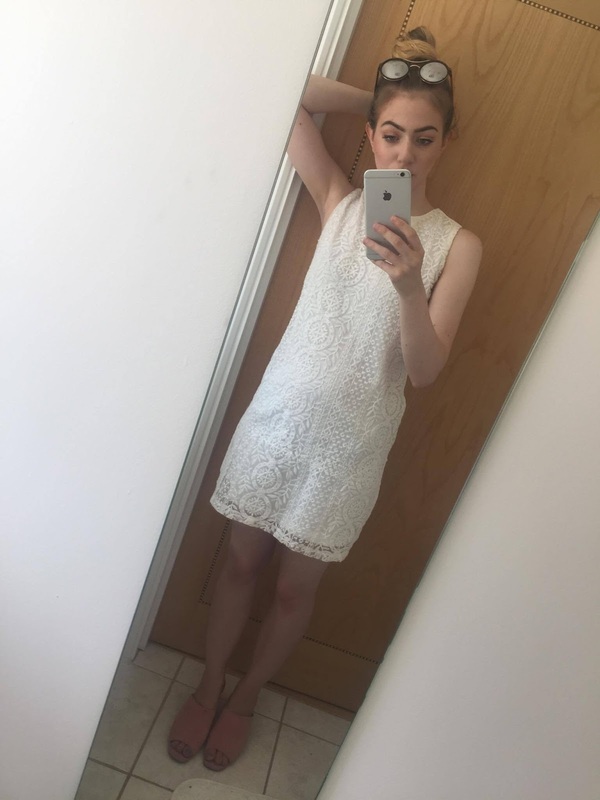 Believe it or not, this whole outfit cost me less than £20! 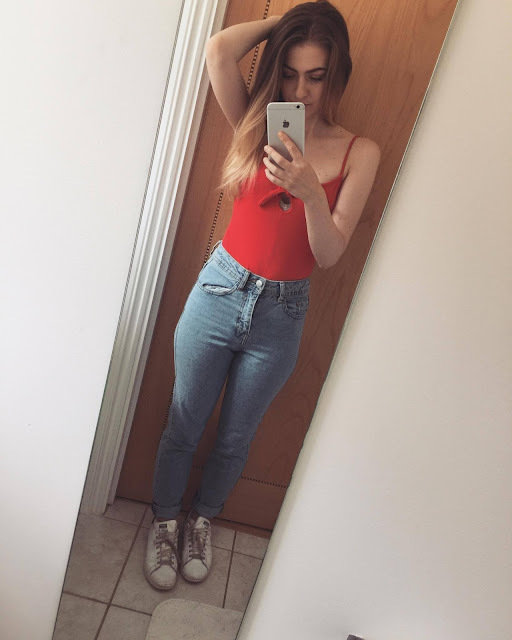 The bodysuite is just £5 from primark and jeans just £13 from there! I haven't washed them yet so I don't know how well they'll last but for now I'm very happy with them.